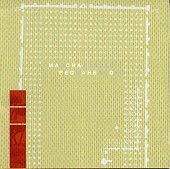 When the songwriting team of brothers in Bedhead (Matt and Bubba Kadane) sent eight track recordings of some skeletal songs - mostly drums and guitar - their friends in Macha, another team of brothers (Joshua and Mischo McKay), added to the songs to form a musical collaboration. One you'll find contained within this five song EP. Dreamy, textured, and layered pop harmony, Macha Loved Bedhead is a sonic, sleepy, dream-induced record that will have you relaxing and feeling the mood as the quiet, faint waves of sounds crash and swirl around in your head. Light, airy guitars coupled with raindrop drums and windy vocals help push this album into a state of delirium. If you're looking for a soothing, sit-back-and-feel-the-music kind of record, Bedhead Loved Macha's creation is just that. You can play it while doing other things, fall asleep to it, or wind down as the music spins in your stereo and in your head. I'll give it a B.